Downtown steakhouse down and out. Durango Steakhouse closed its doors after dinner service on Wednesday after 15 years in business. 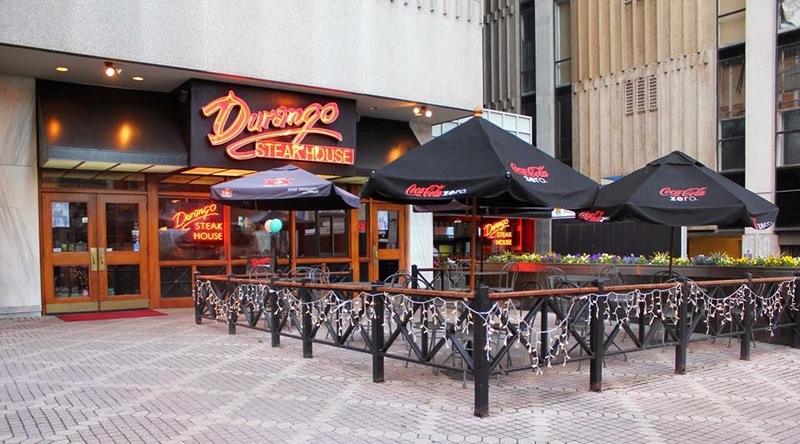 Durango was located at 230 Peachtree Street, across from Peachtree Center and adjacent to AmericasMart. I always walked by Durango to and from MARTA while attending Georgia State. They seemed to do well, but perhaps the recent opening of Cuts Steakhouse hurt their business. Cuts opened earlier this year on Andrew Young International Boulevard, below sister restaurant, Truva Turkish Kitchen. Cuts is reportedly doing very well even so close to established national brand, Morton's. Where is your favorite downtown eatery? Have you been to Cuts? You assumption about Cuts is wrong. They left because of the hotel being built in the office building that are located in. Right you are! I'm sure that did have something to do with this closure. My apologies for the omission. Cuts is terrible. If they are doing well, I guess it's because most of the downtown restaurants are terrible and they are just less terrible than the others. The building is being repurposed. They did not close due to competition. I think both theories are correct. I just had lunch there in August and was one if just a few occupied tables. The bartender communicated that their business was off significantly. The food was mediocre at best, pretty lousy being perfectly honest. Then again, for downtown that's the norm. I work in the building and can confirm the building has changed owners and is undergoing major work to include their space which is why they are not staying put. No impact from competition was discussed or observed during the long while this has been in the works. Wishing everyone there well and grateful to years of dedicated service. So is this space going to another ugly, vacant blight on Peachtree Street just like the space directly south of the Hooters? Why can't something be done to fill that space? It shouldn't be that hard. It looks awful and right at the center of downtown. To me, it's a severe indictment of the current city administration. The Hotel Indigo that is going into the 230 Peachtree building will be a great upgrade along this stretch of Peachtree. The whole area between the Marta elevator to left and the Mart entrance on right is being re-imagined. Additionally...the walkway between the 230 building and the Mart is being torn out and a beautiful glass atrium will be built to connect the two buildings.